When you are working on your pool maintenance, you also need to think about tile maintenance. Keeping your tiles beautiful and clean is important. In this article, we are going to talk more about tile maintenance and keeping your pool tile looking new. Having your pool installed and looking at your beautiful new tile is a great experience and it is in that moment that you need to make a commitment to your tile maintenance. The less dirty that you allow your tile to get, the better and you are going to make it easier on yourself. Here are some tips when you are working on your tile maintenance routine. When you have unbalanced pH level, you may notice calcium carbonate that has separated from the water to form white, gray or brown patches on your pool tile. 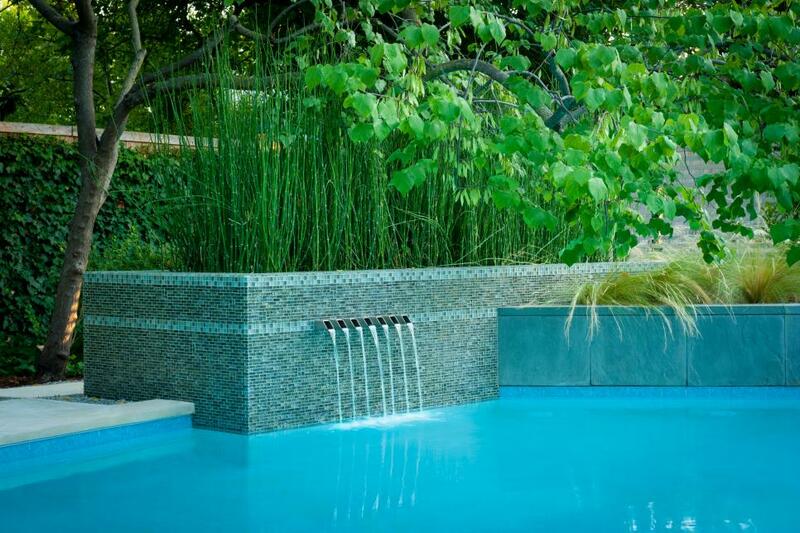 Balancing your water and other pool maintenance can prevent scale buildup and you may find other things that are going to help you prevent scale build up so make sure to check with a pool maintenance professional. Do testing on your total alkalinity level to ensure it is in between 80 and 120 ppm. You should adjust the level before you adjust your pH. Do testing on your pool’s water to ensure your pH levels are in between 7.2 and 7.6. You can adjust this by adding a pH balancer to your water. Whether you are thinking about tile maintenance or some other aspect or pool maintenance, it is important that you stick to your schedule. If you don’t stay consistent with your cleaning, you are going to notice problems with your pool. The longer you wait to take care of these types of problems, the bigger the problems are going to get. This is why you need to pay close attention if you start to see any build up.